The 2018 Trader of the Year will be announced at the Which? Awards ceremony on May 23rd in London. The shortlist was announced on 25th April, giving the nominees nearly a month to wait to find out whether they've won. Not everyone can be a main Which? award winner but we want to spread the winning feeling a bit wider – so we’re running a separate (unofficial!) set of awards for our Which? Trusted traders. We’ve got some fantastic categories and we want to see your entries for each one. Share your entries with us on Facebook and Twitter from Monday 30th April to Sunday 6th May, using the hashtag #WTTsocialawards. So keep your eyes on our Facebook and Twitter accounts to see who’s in the running. And you never know, there may be some surprise nominations made by W?TT staff, so it’s worth checking out, even if you didn’t enter yourselves. We’ll need your help to pick a winner in each category. Our judging panel will take into account the amount of likes, shares and retweets that each nominee receives on both platforms. 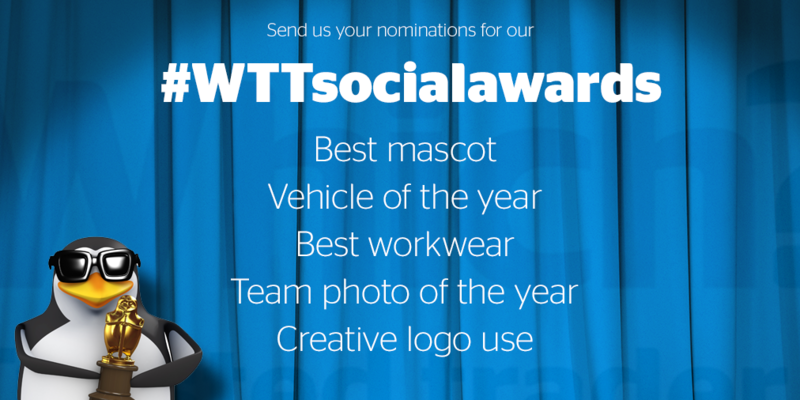 We'll also be monitoring the #WTTsocialawards hashtag for those extra thoughts and opinions. So check out the nominees and get behind your favourite to make sure they take away the trophy for their category. We’ll announce one winner a day from Monday 14th to Friday 18th May. You can like our page Which? Trusted Traders on Facebook and follow Which? Trusted Traders on Twitter. It’s always great to hear from our traders.